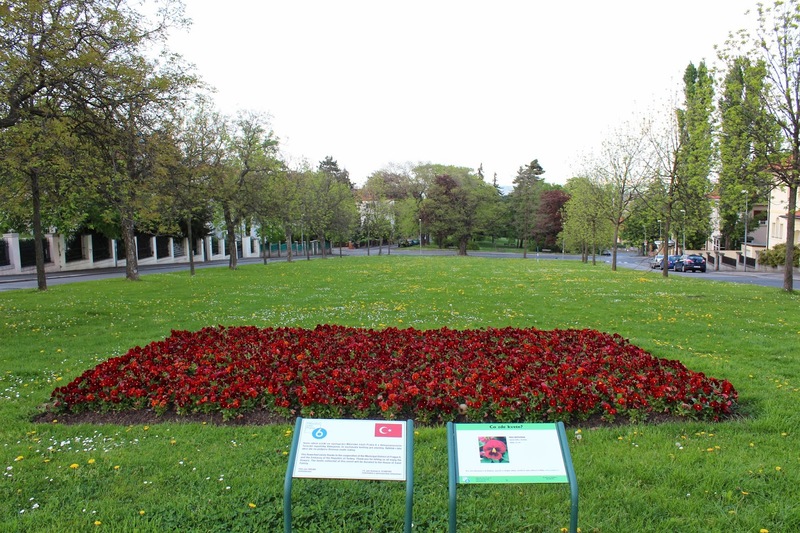 Establishment of the Czechoslovak Republic in 1918 caused fundamental change for the area of the formerBorek´s garden - the construction of a large residential area. The needs of the capital included housing ensuring for new ministries officials and also construction of new embassies. Name of the new colony -Orechovka originated from the former designation Borekovka, like Borek´s garden. 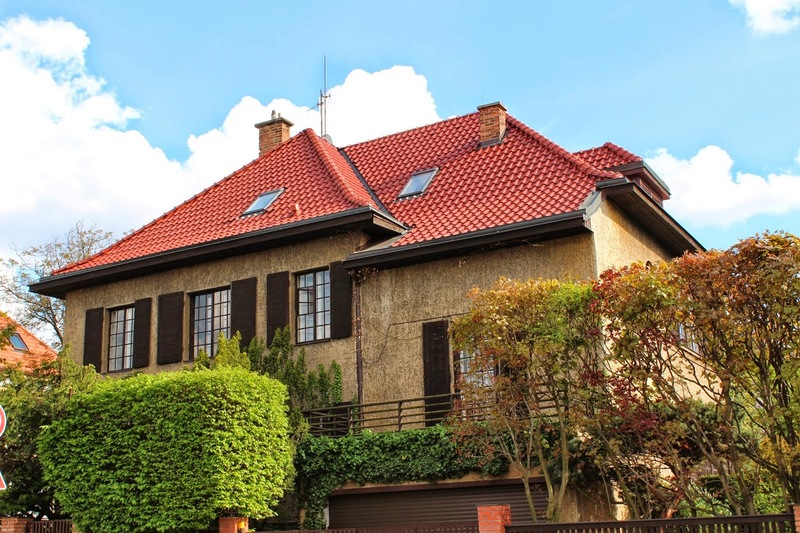 When the Ministry of Public Works has announced a tender for the construction of family houses for “BuildingCooperative for Government and Other Public Employees” in 1919, the area between Buštěhradská railwayand road Střešovická was destined for garden city of “howard” type. Houses in this new location should, accordning to the intent, contain about 15% of one-room and the same number of four-room flats, two-and three-room flats dominated - by 35%. 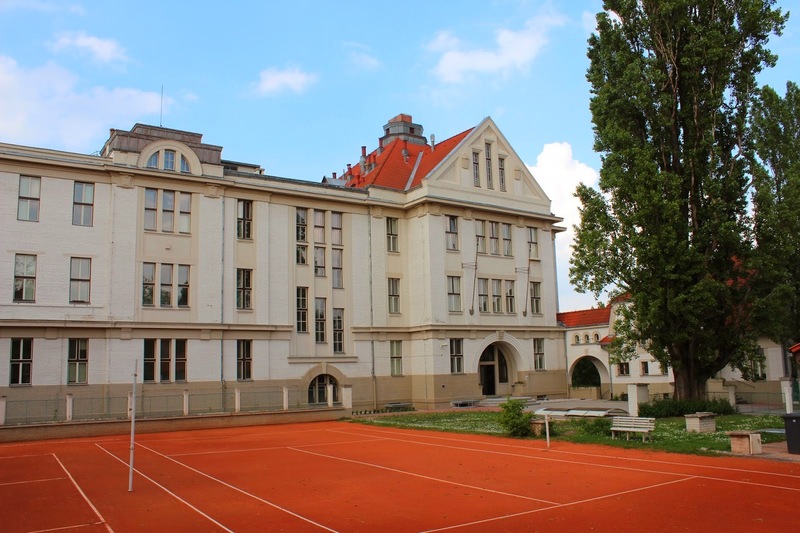 The tender was attended by many well-known and (at that time) far less well-known Czech architects, among them Jindrich Freiwald, Bohumil Hübschmann, Frantisek Vahala, Eduard Hnilicka and Ladislav Machon. One of the conditions of tender was to ensure ownership of a part of a yard and a garden for each apartment. 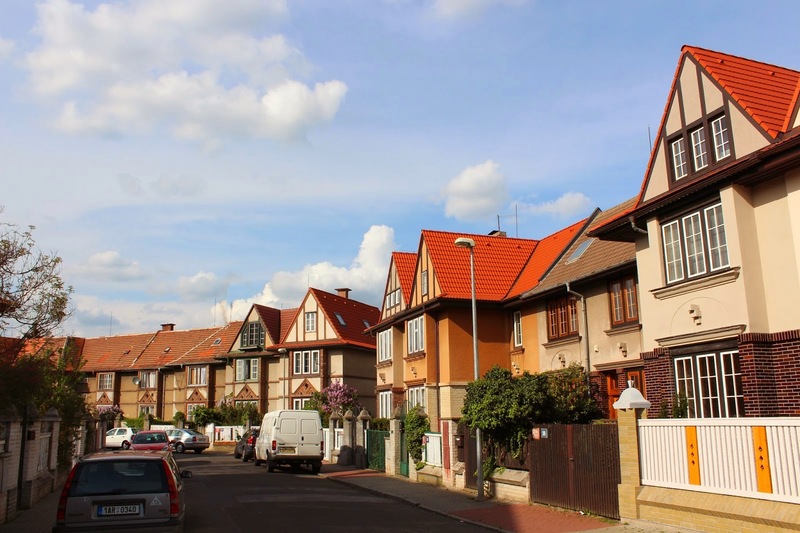 Variation of the house types - terraced, semi-detached and detached should prevent monotony of built-up area. The winning project of the tender (designed by architect Jaroslav Vondrak and Jan Senkyr) became the basis for a definitive layout of this urban residential area. Particular parts of the development were mostly designed and implemented in accordance with modifiedtypes of houses designed by architects who were in the tender at the forefront. In this way uniformity was avoided quite successfully. 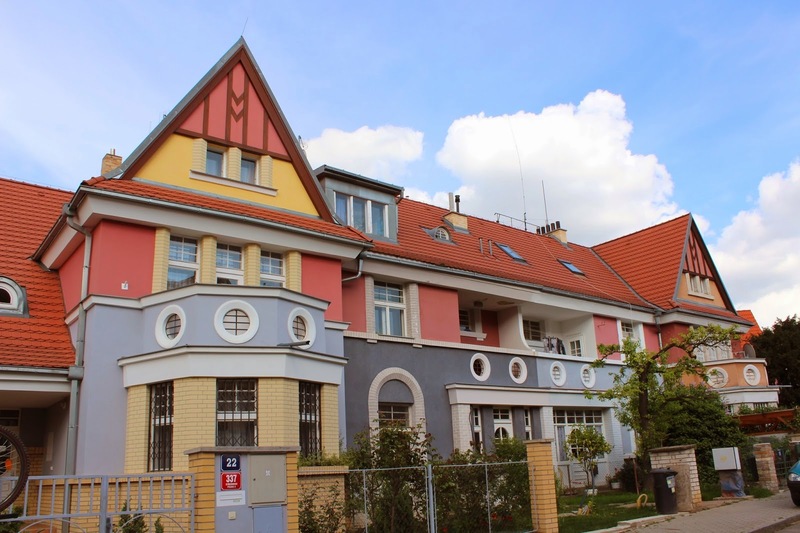 The greater part of terraced houses in Klidna (Quiet) Street and Delostrelecka (Artillery) Street was designed by Jindrich Freiwald, a number of houses in Zapadni (West) Street and Lomena (Broken) Street by Jaroslav Vondrak (who shows himself as a modernist related to the so-called cottage houses - villas of English garden towns, which represented one of the lines of the Pragueurbanism of 20th), houses in the Pod Vyhlídkou (Under Vista) Street by Eduard Hnilicka, houses in Na Klinku ( On the Wedge) Street and Pod Orechovkou Street by Bohumil Hübschmann, in Delostrelecka (Artillery) Street and Zbrojnicka (Arsenal) Street Frantisek Vahala, etc. It is noteworthy that this first wave of construction (1920 – 1922) situationally almost perfectly correspondes with the layout of Vondrak and Senkyrproposal for the tender. 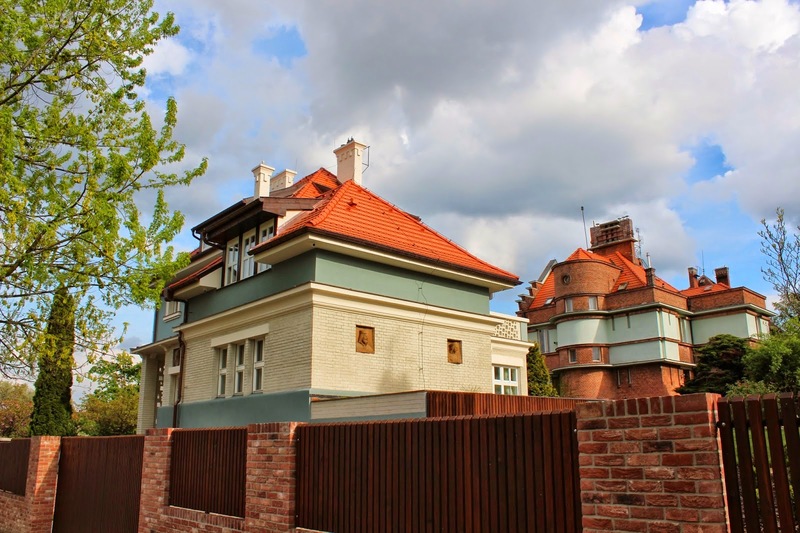 Villas arose around the original Orechovka during the twenties, however this time mostly on individualdesignes. In the same period residential villas were built in Pod Hradbami (Below Walls) street. 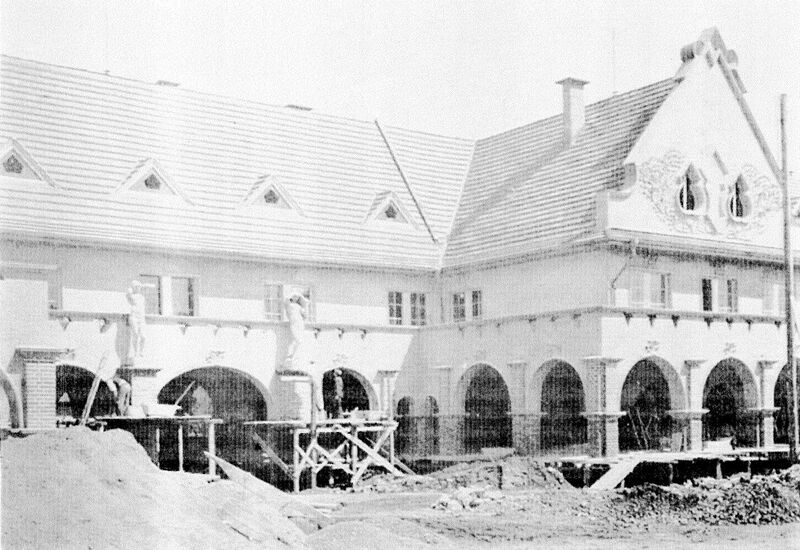 Construction of villas continued further west to Veleslavin in the thirties. 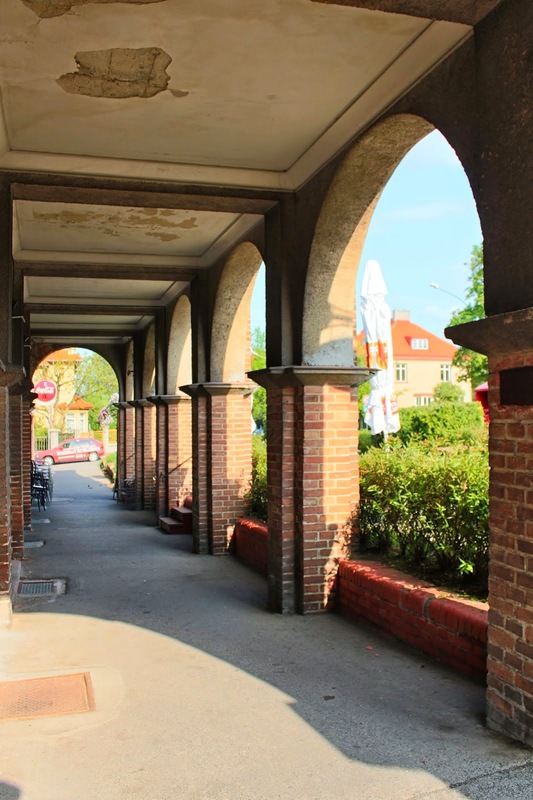 During the inter-war period Orechovka became one of the best locations for living. Stresovice is said to be artists district, yet in your walk you will be surprised how many painters and sculptors,whose names are known and famous, lived there. 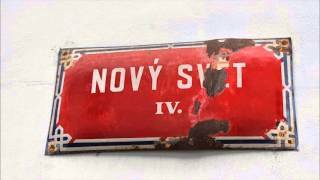 But the situation in Stresovice is similar to that in other parts of Prague - no ‘Stresovice’ art, even if you can not conceal that many of painters, for example VincentBenes or Karel Holan (in Stresovicky) found interesting motifs also in Brevnov and in Stresovice. Orechovka,however, was for most artists just a nice, quiet and relatively calm address, like for other for instance Sporilov. The central building, or “club and consumer” building, designed by Jaroslav Vondrak in 1921 and builtconcurrently with residential houses, became a commercial and social center of the colony. As you can see, architect Vondrak, when creating its main facade facing the Machar square, oscillated on pyramidal andcubist forms interface. A number of shops, markets, cinema, restaurant, cafe with a wine bar and physicians found their rooms in new central building. In 1927 the social significance of this building even further increased due to extension with a new theater and a dance hall. Also, there was a library, post office and clubroom. This is the kind of first form in today’s concept of the “amenities” – the core of this residential complex. Continue passing the passage with movie theater, one of the few traditional pre-war cinemas, which still has not stopped its operation. 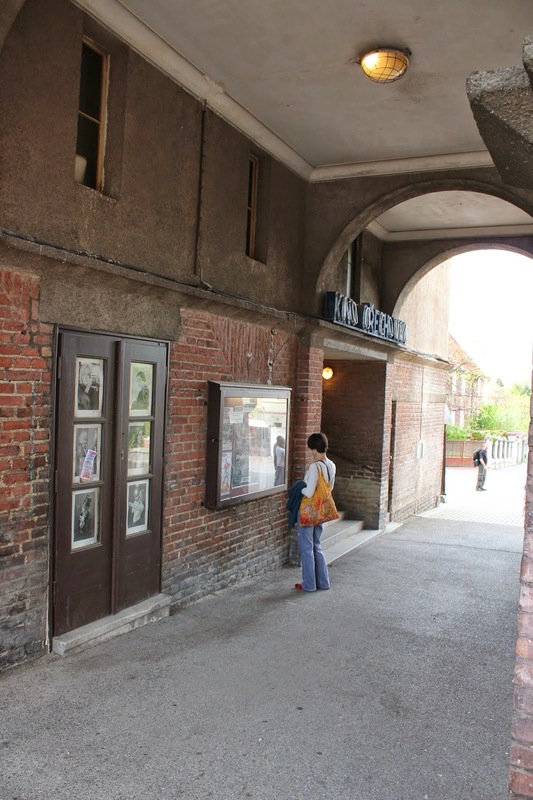 In the suburbs of Prague today we can find operating besides cinema Orechovkaonly Aero cinema in ŽiŽkov and Oko (Eye) cinema in Holesovice, but only one of them Orechovka! 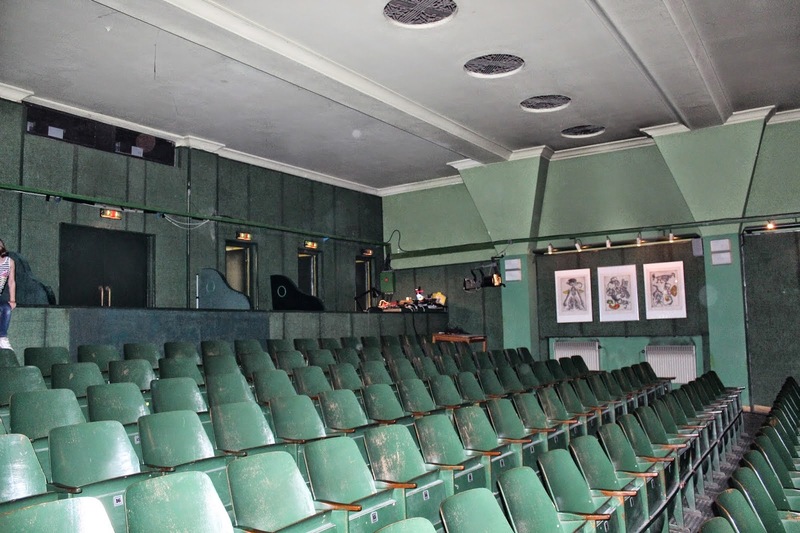 offers movies and theater programs together. We get to the very core of the original “Vorechovka” in the style of English garden cities so called“cottage”being built since 1919, i.e. we are passing Spojená (Connected) Street. The intersection of the two streets creates here a triangular square, which is the core area of ​​standardizedsmall houses built in the style of rondocubism. This style can be seen only in the Czech lands. This is actually a Czech variation of an international art deco style. 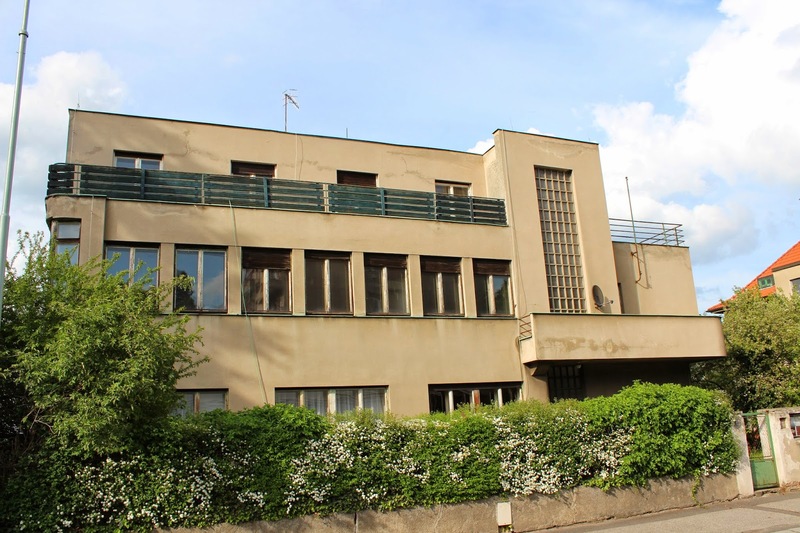 It is interesting that art deco style proper occurs in theCzech inland very rarely ( replaced just by rondocubism). 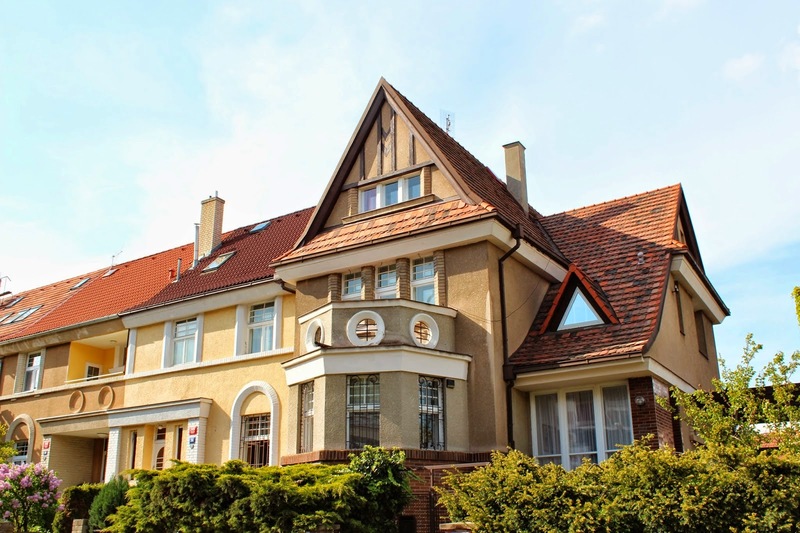 Art deco on the contrary, is strongly to be found in the former Sudetenland, where the prevailing German population prefered art deco clear to functionalism throughout the 20th and 30th. After the establishment of the new Czechoslovak Republic edge, toe and gray in architecture were declaredin areas with a predominance of Czech settlement as defeated Germanic character, while roundness and color were attributed to winning Slavs. 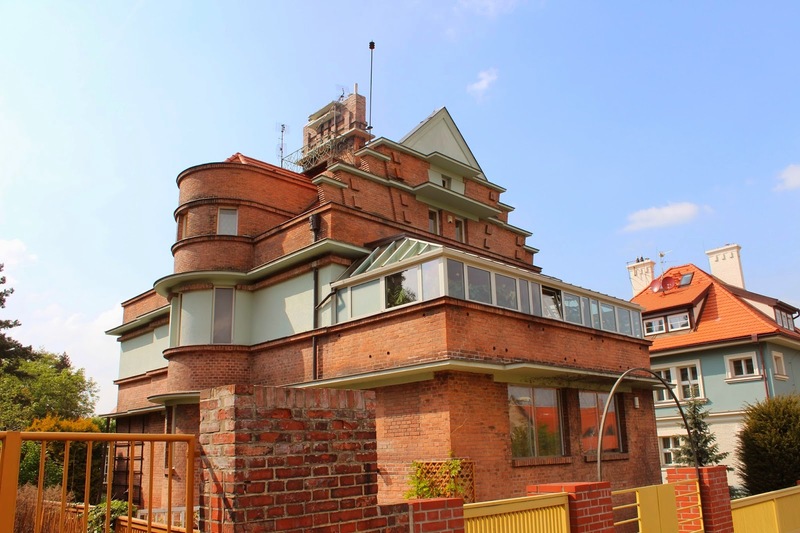 The pyramidal cubism finished, colored “national style“, also known as rondocubism, arc-shaped cubism, Czech art deco style or Legiobank style, ( according to the most importantbuildings built in this style) succeeded . It may seem that this style has more names than completedstructures. At the end of a quiet street we are turning left to Pod Orechovkou Street and Pod Vyhlidkou Street into Lomena Street. 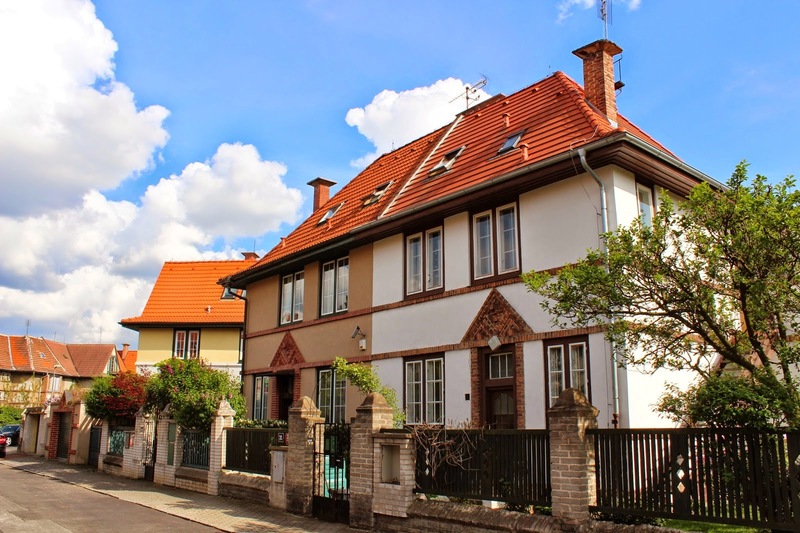 Houses designed by Jaroslav Vondrák and Jan Šenk in the years 1920 – 1922 imitate English cottages morphology of garden towns - Bedford Park, Hampstead and Letchford, with their typical triangular gables, narrow rectangular windows, high chimneys and half-timbered masonry bond. …then turning left into the street Sugar, which is here not so important thoroughfare as in the eastern part of Ořechovka. 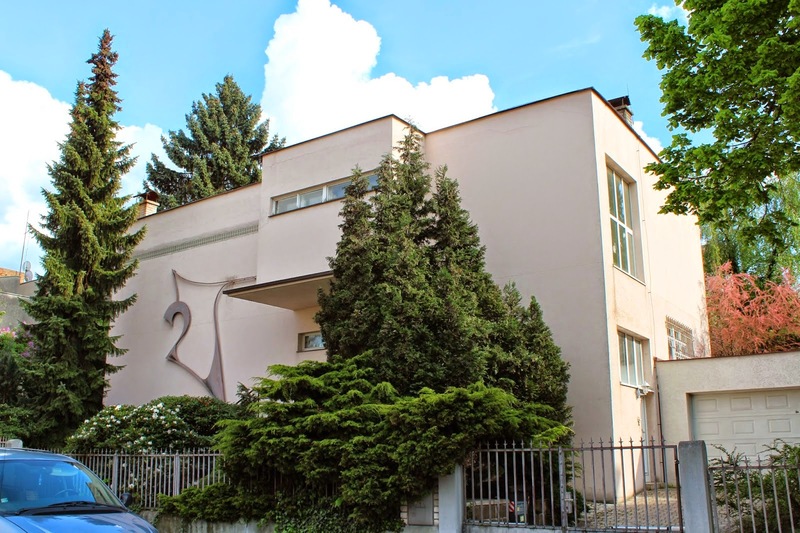 Before we will get to the sculptor Bretislav Benda´s villa please notice the interesting functionalist villa 53/777with a harp symbol. 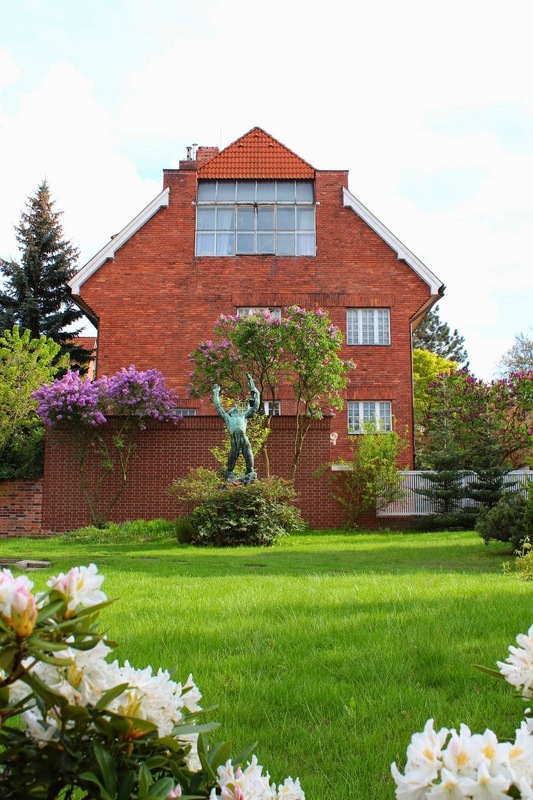 Bretislav Benda (1897 – 1983), one of the major sculptors of the 20th Czech century, lived and worked in the house. He was a pupil of Josef Vaclav Myslbek and Jan Stursa and a member of the Association of FineArtists. Artistic expression Břetislava Bendy can be best to be describe by his own words: “I do not know motive rarer than the human body, and especially feminine.” He modeled mainly bronze and marble statues of the female body. We are turning left to the street Pod Vyhlídkou, which we are walking through into Na Dračkách street. Along parallel streets - Střesovická, Cukrovarnická, Na Ořechovce and Na Dračkách construction of almost exclusively family houses took place in the 20th and 30th. Painter, graphic artist and illustrator Vaclav Spala (1885-1946) ordered deseign of his Stresovice villa by hiscolleague from the Association of Fine Artists - architect Otakar Novotný. Vaclav Spala was painter of deep folk inspiration, his art sprung from perfectly ingrained impulses folk environment and creation. His work was based on fauvism, and later was influenced by cubism, from which he diverged after 1923, when he began to paint particularly landscapes. This period of his work is known as the green period. The highlight of Spala´s nature painting is the blue period , when he used thiscolor in many shades. 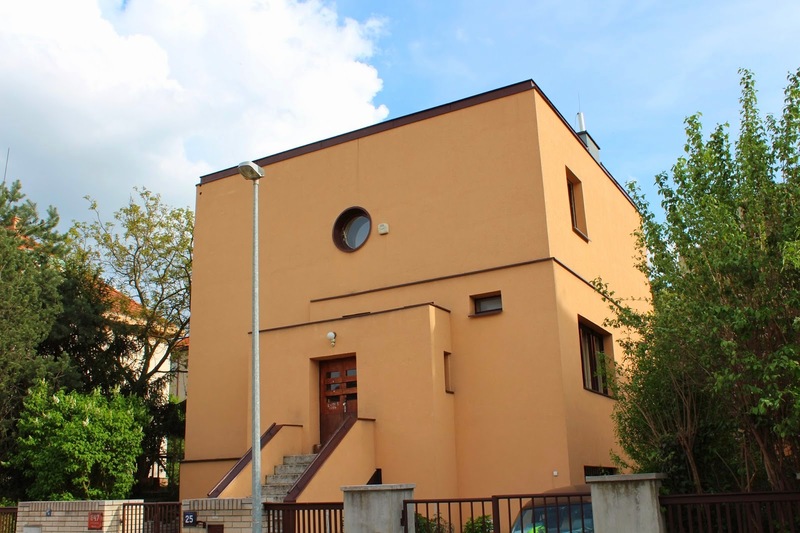 Vaclav Spála’s House combined living and working function i.e. it contained five-members family apartment and a painting studio. After the death of Vaclav Spala wife Jane, daughter Eva, and sons George and John inherited a house. 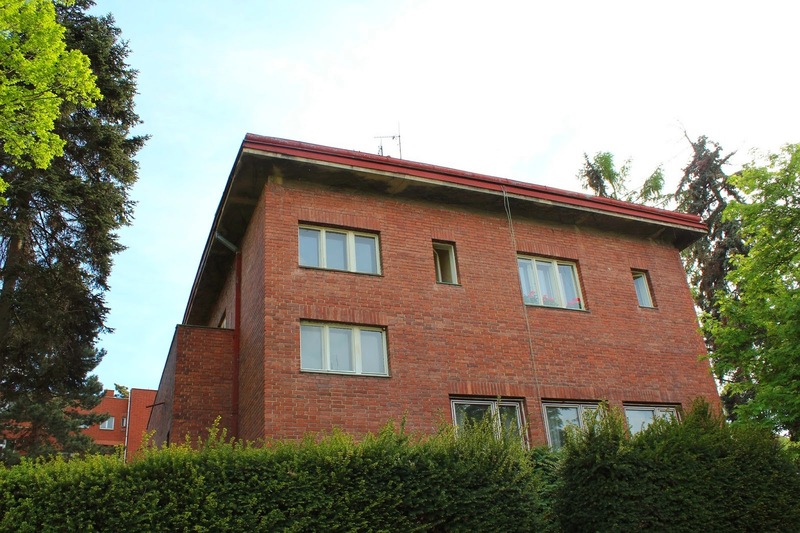 Architect Otakar Novotny, who focused himself on Dutch type brick architecture of rough walling - that is, as we shall see, in Orechovka numerically very significant - Otakar Novotny designed this interesting house in 1931 - 1932. 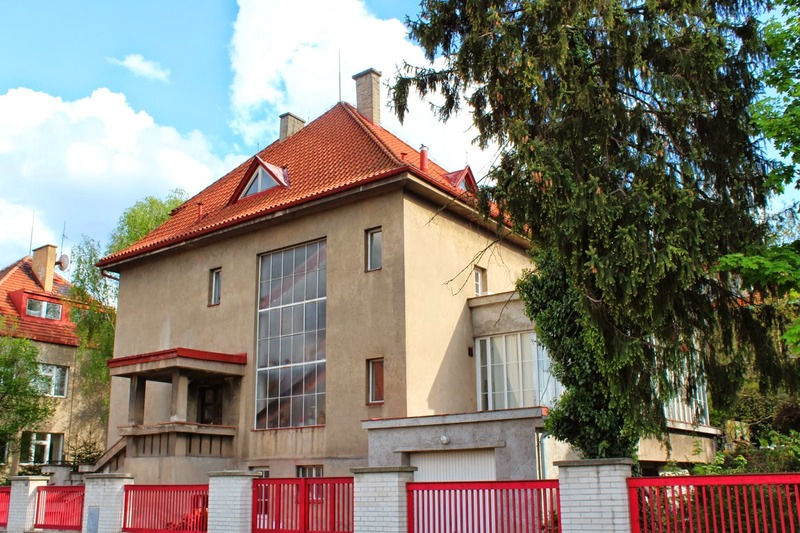 The neighboring villa for Alfred Justitz, also in the rough walling kind, but not with original windows, is the work of Frantisek Antonin Libra of 1931. Alfred Justitz (1879 – 1934) was the representative of the founding generation of Czech modernpainting, major graphic designer and illustrator. He was a member of the Association of Fine Artists “Manes” and exhibited with the group “Tvrdosijni”(Dogged). His poster creation can be found in many galleries. As a major kynolog he was an enthusiastic promoter of the boxers breed. 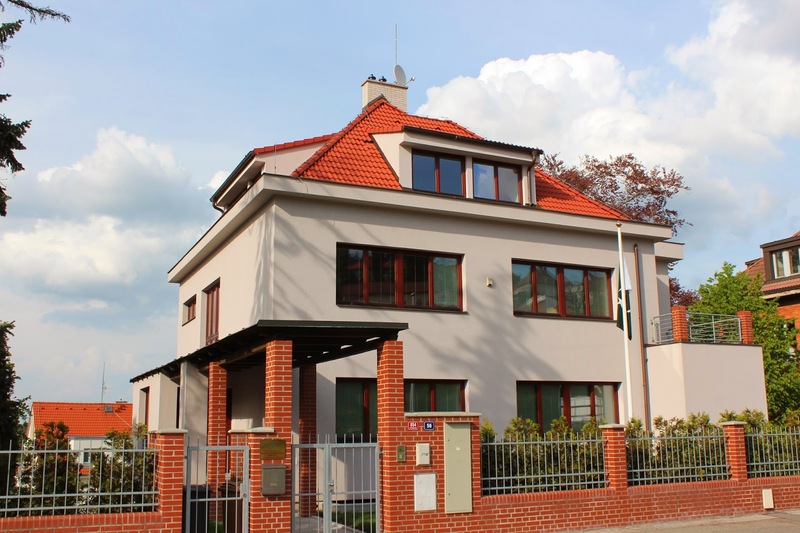 We are passing by the other villas in Na Dračkách street with valuable villa area. 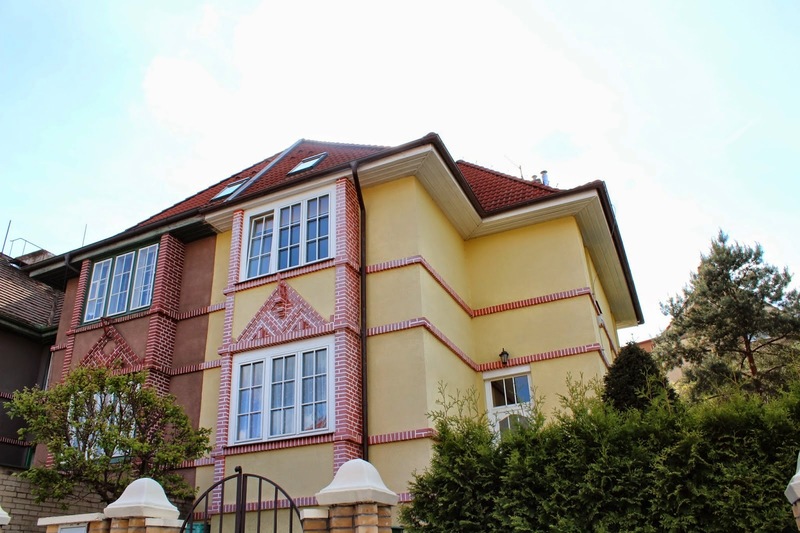 Elegant semidetached house No. 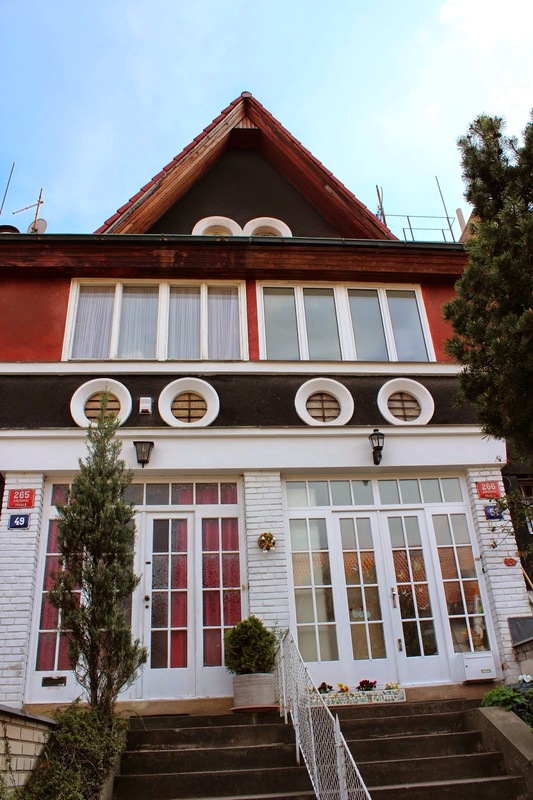 8,10 / 772,773 in purist style was designed by architect Antonin Mendl in 1934. 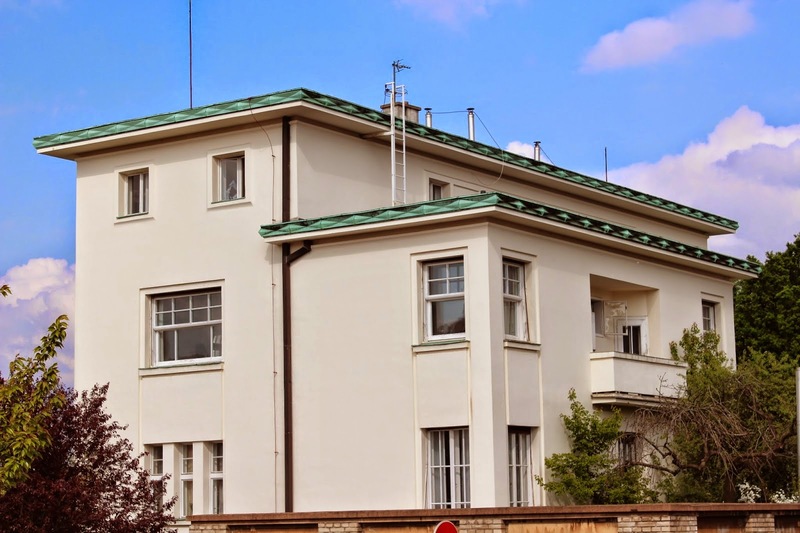 Also larger villa built by architect Alois Mikuskovic No.12/774 in 1933 has a somewhat austere but elegant look. We are crossing V pruhledu (In Vista) boulevard, which are similar to green framework of Slunna (Sunny) Street on the east side of Orechovka and in follow-up part of Na Drackach street No. 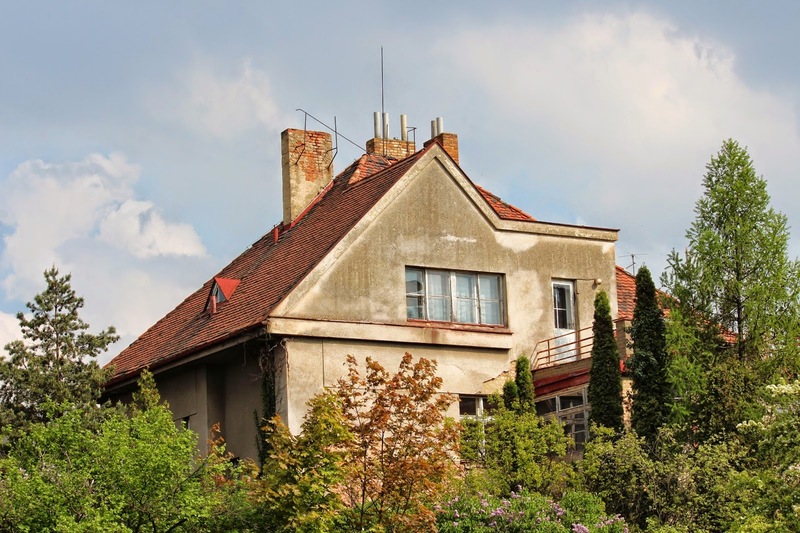 25/847 we can see the house in which painter, printmaker, illustrator and writer Vaclav Fiala (1896-1980) lived and worked . This is a cube-shaped family house, with the superior staircase at the entrance on the north side, which is not very much structured by holes. The house was designed by architect Pavel Simonov in 1934. From Na Dračkách Street we are turning back to Střešovická avenue. 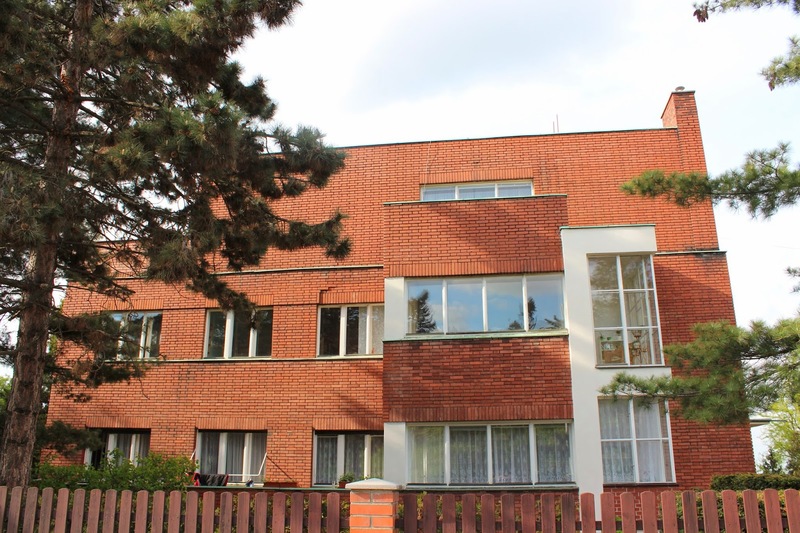 Functionalist house No. 64/858 was designed by architect Karel Stráník in 1936 . 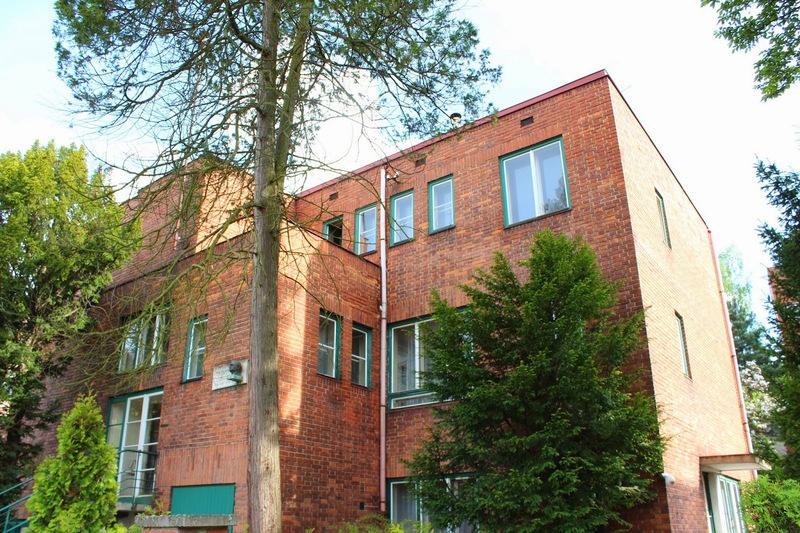 It is a large building withfunctionalist southern street frontage. Part of the roof is bowed and has a stepped gable. Architect Jan Gillar built in the same year the villa No. 56/854 with the covered entrance and unusual hippedroof. Czech painter Miloslav Holý had an apartment and a studio in neighbouring house No.54/853. 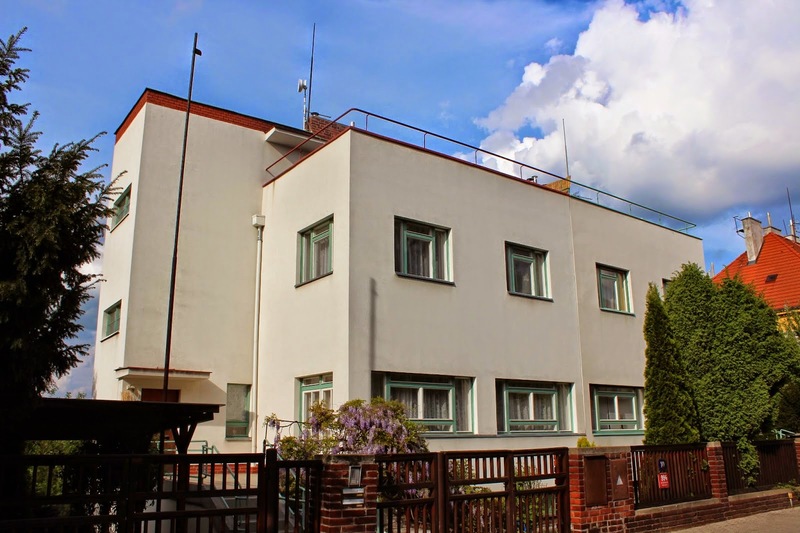 Functionalist house No. 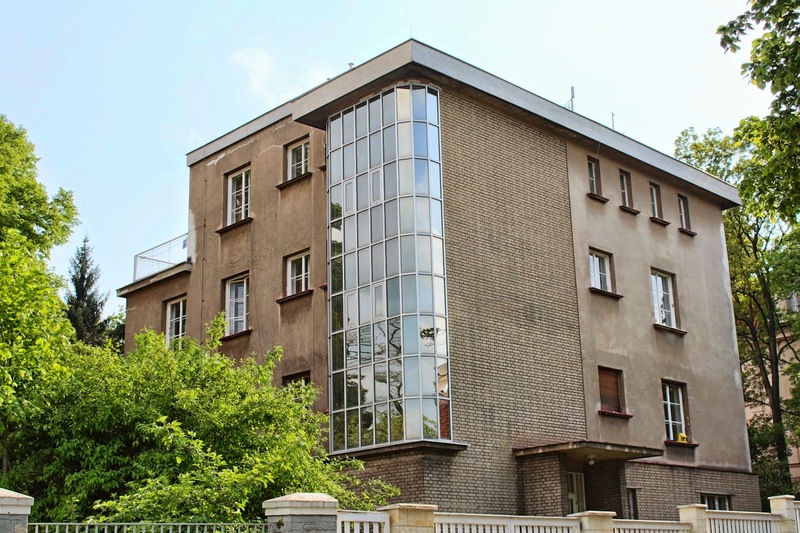 44/746 was designed by architect Otakar Chodounsky in 1932. Czech painter Vincent Benes (1883-1979) lived and worked in the house. Benes wasa member of the Czech Academy of Sciences and Arts, Association of Fine Artists“Manes” and Association “Eight”. First, his work has influenced by cubism andfauvism, in the next period he focused on realistic oil paintings influenced byneoclassicism. 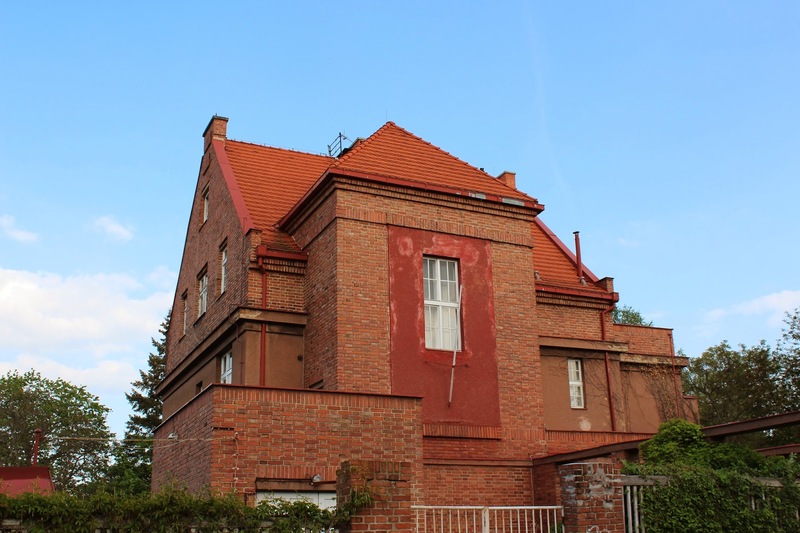 The house was built by architect Pavel Janak in the for Orechovka popular “Dutch style” with rough walling on the facade in 1923. 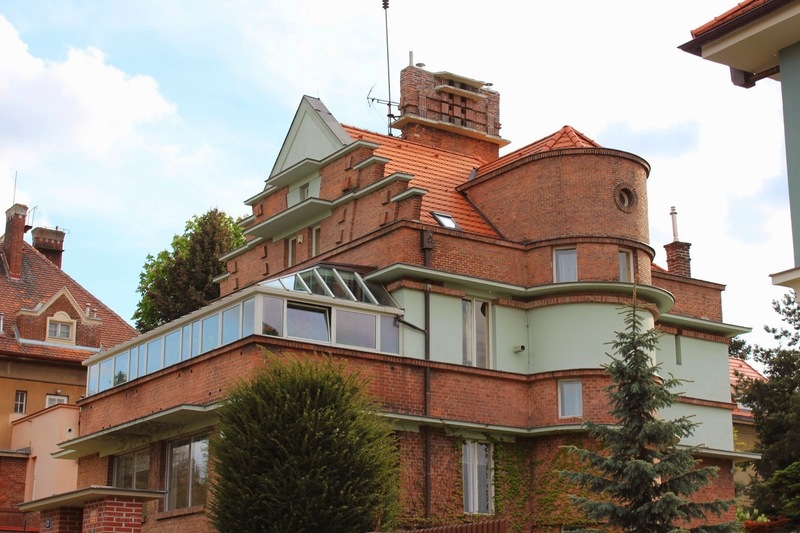 For the Cubist painter, graphic artist and sculptor Emil Filla and psychologist FranzKrejci was designed again by Pavel Janak in 1923 -1924 semi-detached villa in the same style as Vincent Benes´s villa. Emil Filla (1882 – 1953) worked in a wide variety of professions - but he wasprimarily a painter and printmaker. However, he is also known as a sculptor, editor,theorist, diplomat, organizer and collector. He shaped the direction of Czech culturalevents shortly before the 1st World War and especially during the inter-war period. Frantisek Krejci (1858 – 1934) was a psychologist and one of the few Czechpositivist philosophers. He is considered the founder of modern Czech psychology. We are returning to Na Orechovce Street and turning right. 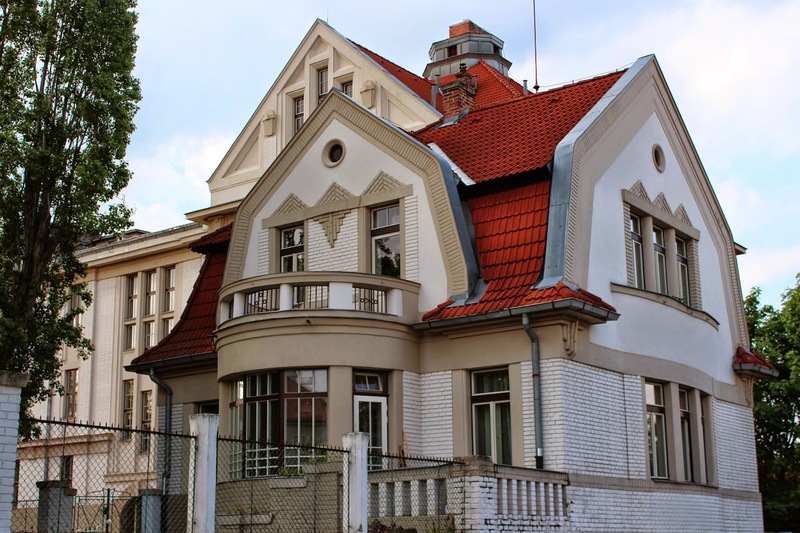 Villa of sculptor Bohumil Kafka (1878-1942) was also designed by architect PavelJanak . Kafka’s works are jewel of Czech Art Nouveau - Symbolist sculpture. Kafka, familiarwith Art Nouveau, accepted the suggestions of symbolism, naturalism andimpressionism and created several works of art in which art style of 19th and 20century meet in original way. Art historians, however, particularly highlight hissculptures with quite distinctive symbolist inspiration. Among the important Kafka´s realizations we have to mention at least the largestequestrian statue in the world - Jan Zizka Memorial for the National Monument on Vitkov hill. Bohumil Kafka worked as a professor in School of Applied Arts inPrague and the Academy of Fine Arts. He was also a respected member of manyinternational art societies. 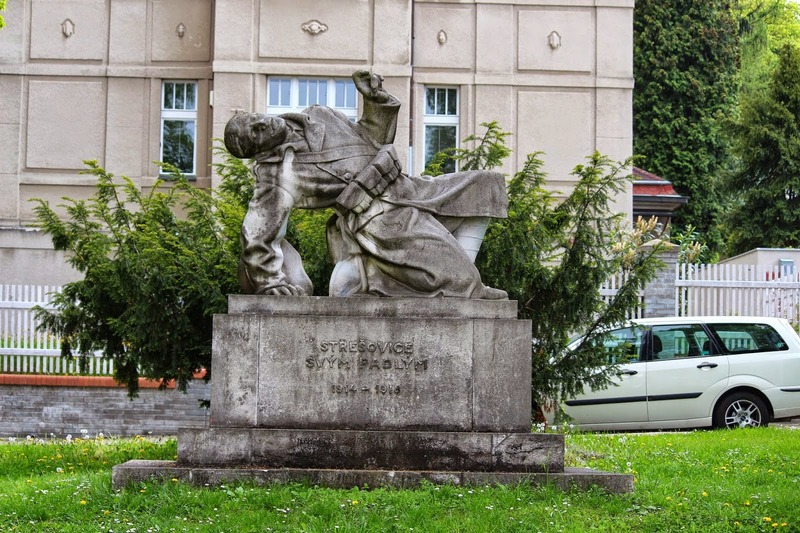 Together with his teacher Stanislav Sucharda Kafkaworked on the Palacky Monument on the same square. 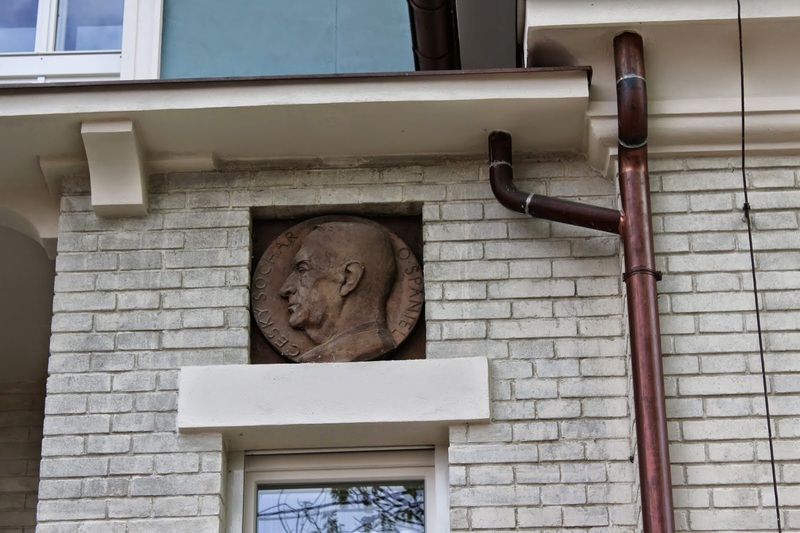 Thus it was a mutual honor, if the villa for sculptor Bohumil Kafka was designed by architect Pavel Janak. 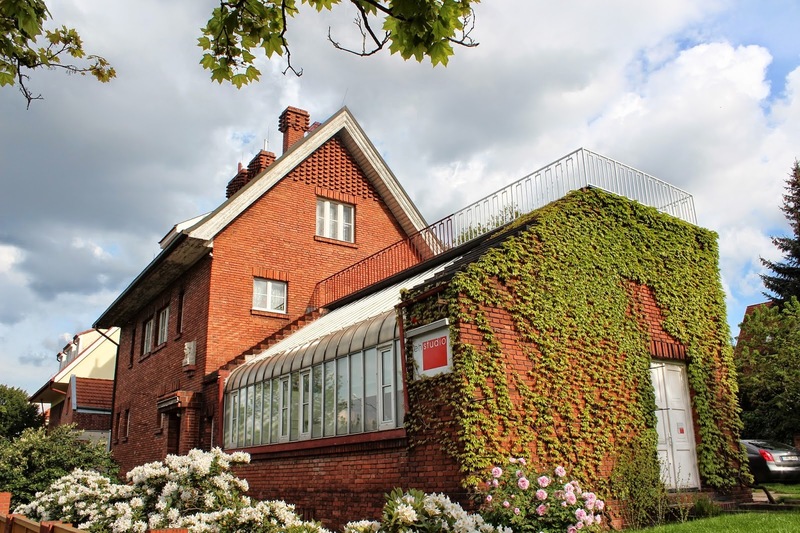 The villa belongs to a set Janákových buildings (villas of Vincent Benes, Emil Filla,Frantisek Krejci and Bohumil Kafka) which were implemented for the Building Co-operative of Artists and Writers in Orechovka in the years 1923-1924. 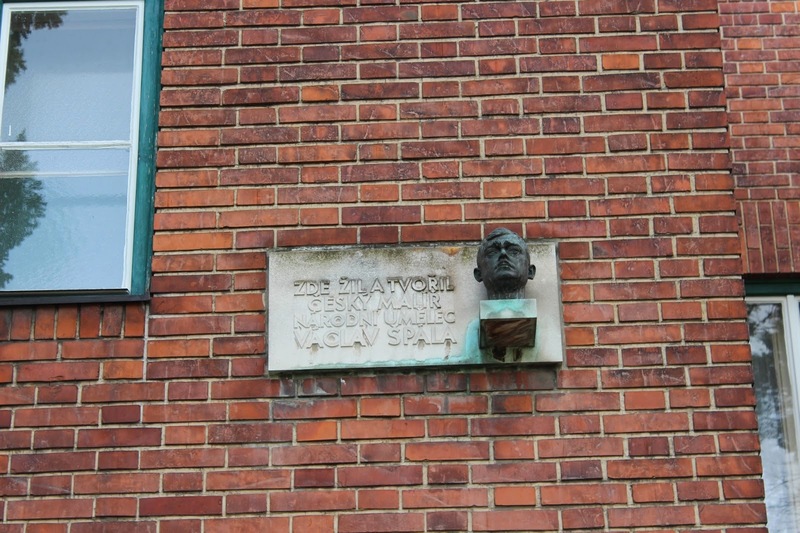 The architectwas inspired by the sober Dutch architecture of the rough walling of red bricks.Above the original entrance door we will see stone busts. On the right side there is asculpture studio, which ceiling is used as a roof terrace. 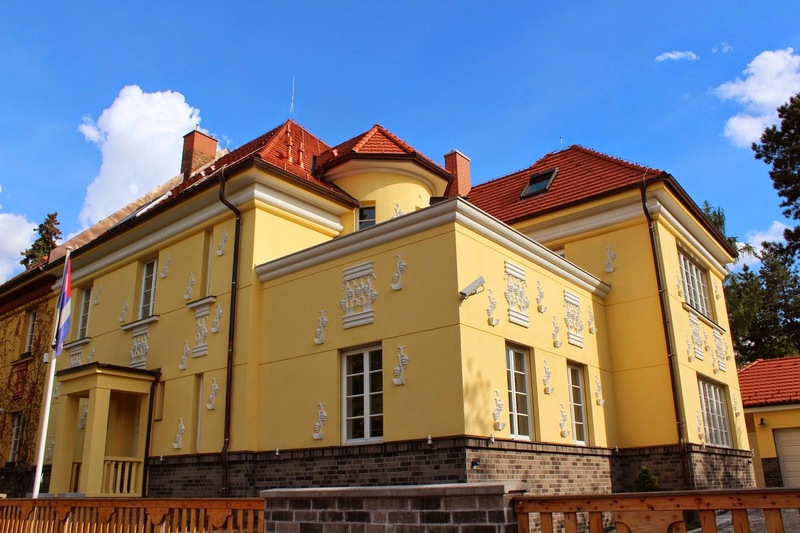 The sculptor Otakar Spaniel have a beautiful art deco villa built by the architect Ladislav Machoň on the corner of the main square and Na Orechovce street. Otakar Spaniel (1881 – 1955) was a famous sculptor, medalist and woodcarver. His work was based on Art Nouveau style. First frequent topic of his works were athletes in addition to traditional acts. Creation of world-class relief d ominates in his work. He dealt with the creation of medals, portraits, plaques and coins. The one crown coin from 1921 belongs among the most prized and beautiful world coins. 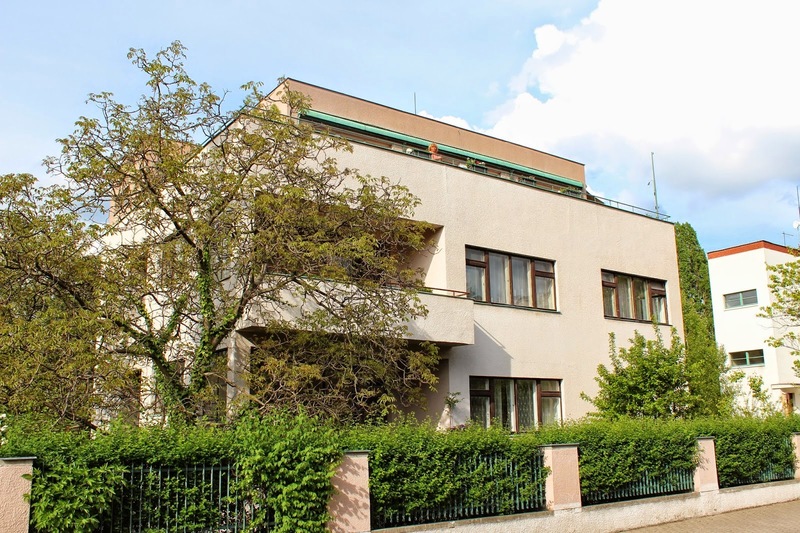 Builder and architect of the villa dating from 1923 – 1924 with the completion of the 1930 is Jaroslav Vondrák(1881-1937), who belongs to the generation of the famous Czech architects, born about 1880, together with Pavel Janak, Josef Gocar and Josef Chochol. Although Jaroslav Vondrak did not reach the fame of his more successful colleagues, he has in Czech architecture and urbanism his place. After all, it was just Jaroslav Vondrak and Jan Senkyr, who won the tender for the Orechovka (! ), Although much more famous architects took part in tender at the time. Therefore, quite logically and justly we find Vondrak´s own villa in the middle of the main square on its west side. The villa is designed as a solitaire in expressive modernism style. 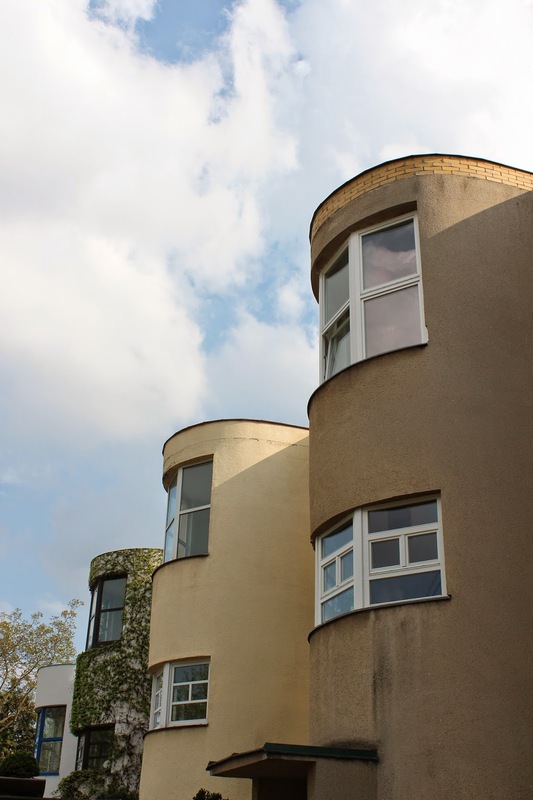 Entrance hall was then in 1930completed with the roof in functionalist conception. Vondrak this way amplified expressionist tone of the entire villa with moments of surprise to observers. We are walking on across the southern part of the square, where a monument to the fallen of Stresovice in the WWI was built in the park in 1928. It was designed ​​by the sculptor Josef Frank under leadership of his teacher Professor Bohumil Kafka and architectural collaboration of Alois Dryak (design stand). 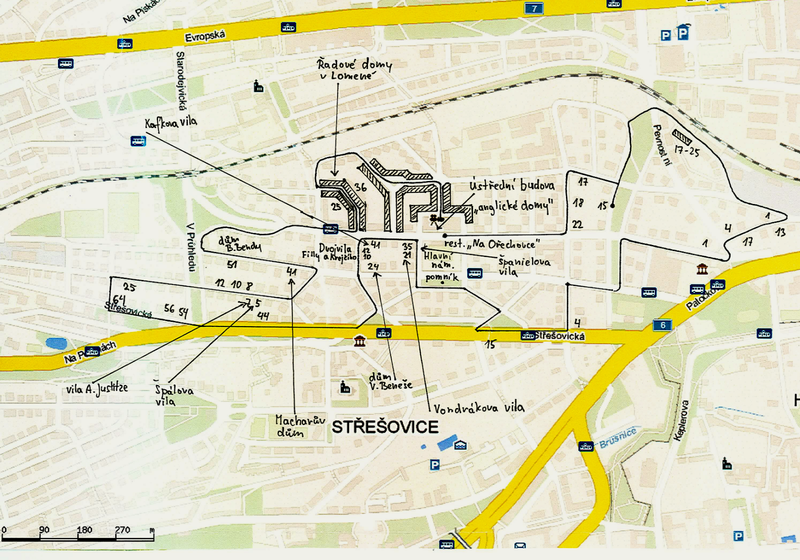 We are going up Vychodni (East) street and then turning right Spalova street along the park to the corner of Stresovicka Avenue and Na Hubalce street. 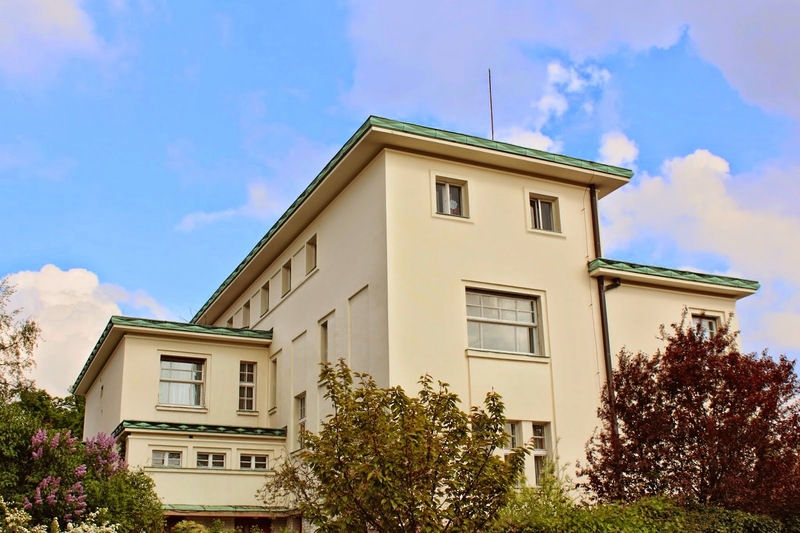 The Villa in Stresovicka Avenue No.15/566 was designed by architect Josef Kalous in 1926, with characteristic asymmetric peaks, typical for his style. We are continuing down the Stresovicka Avenue to the corner with U Laboratore (At Laboratory) Street. 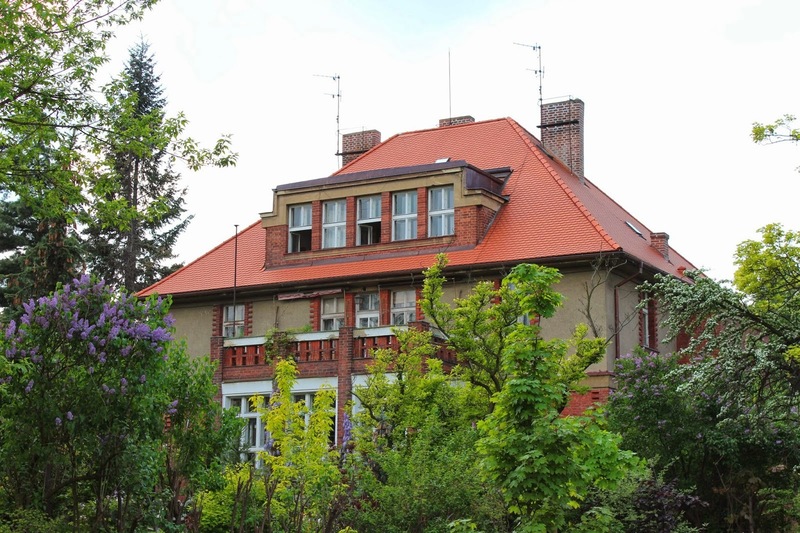 Builder and architect of the villa built in the years 1926 – 1927 was Bohumil Hübschmann. The house has been owned by members of Hübschmann´s family up to now. 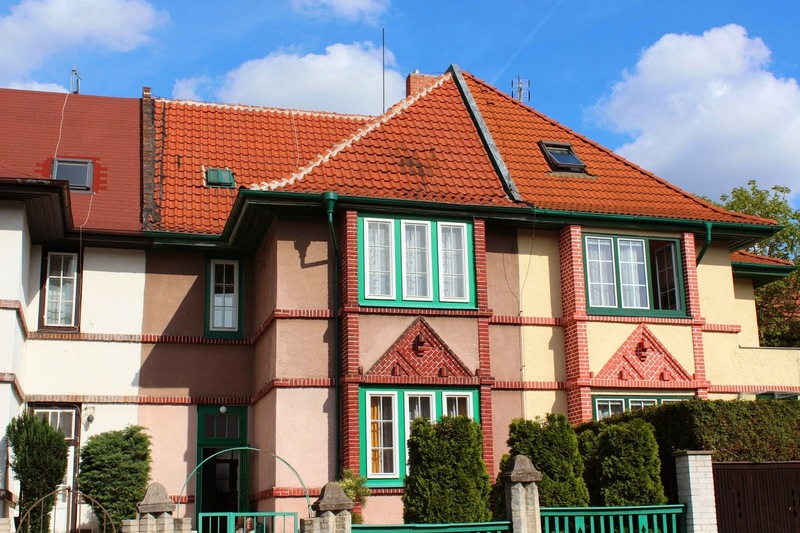 Architect Bohumil Hübschmann based its work on the output of the Viennese architect Otto Wagner.Hübschmann performed successfully urban designs in Prague, the most outstanding is his Emauzy adaptation. “Wagnerian” approach to architecture can also be found in his own villa. House situated onvisually exposed Stresovicka avenue corner has in addition to flat (in its neighborhood unprecedented) roof also sliding “English” window. The facades are austere, without any decoration, roof projected in bold ledges. A winter garden and a gazebo partially relieve hardness and inaccessibility of exterior. There was Hübschmann´s studio in the attic. We are going down U Laboratore Street. 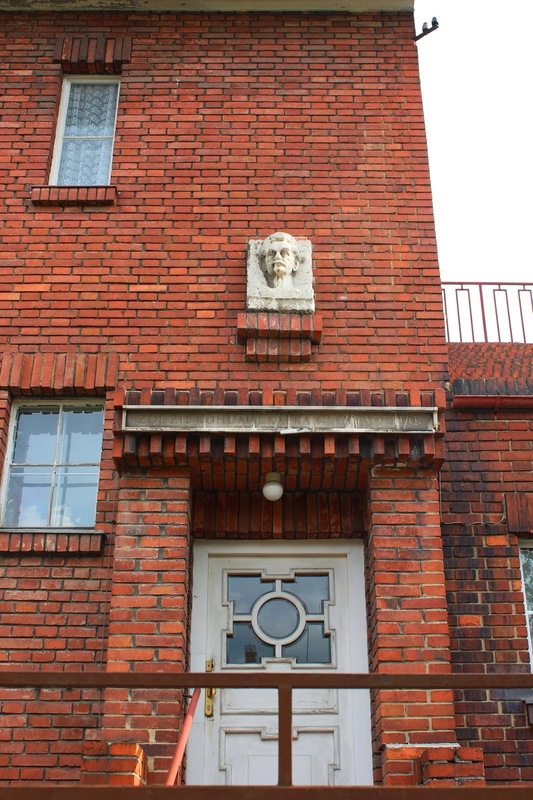 The former sugar industry research institute was built in art deco style style on corner with Cukrovarnicka street. We are turning right Cukrovarnicka Street into the wide Slunna boulevard downwards. At the next junction we are turning to Na Orechovce Street. 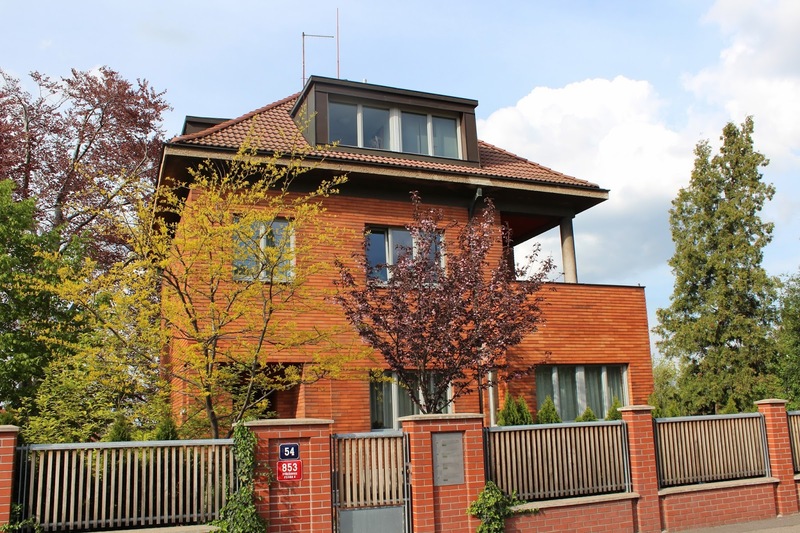 On the corner of the Pevnostní (Fortess) street Strength we will look at a villa No 1/581 of architect JaroslavFröhlich from 1927. 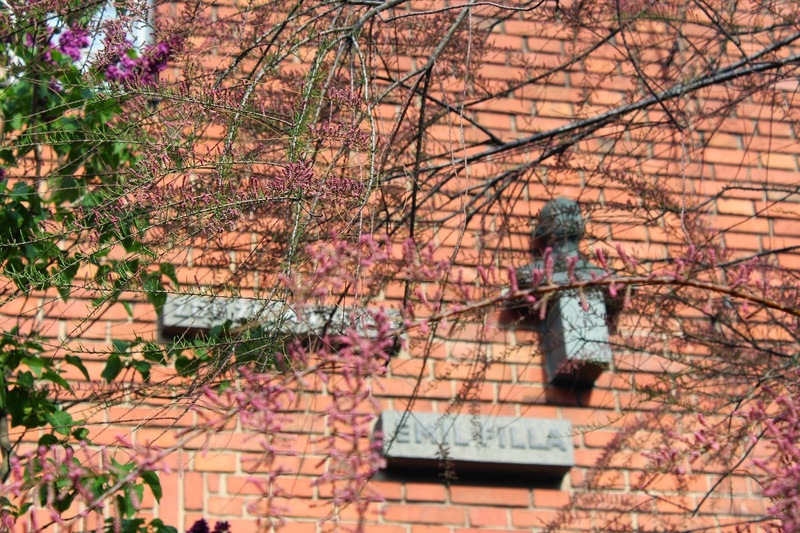 The villa is leaning towards purism, in Kotera´s modernism style with brick patterns. We turn to the Pod Hradbami (Unter Walls) Street. In Prague, we do not find many buildings that were designed by foreign architects. 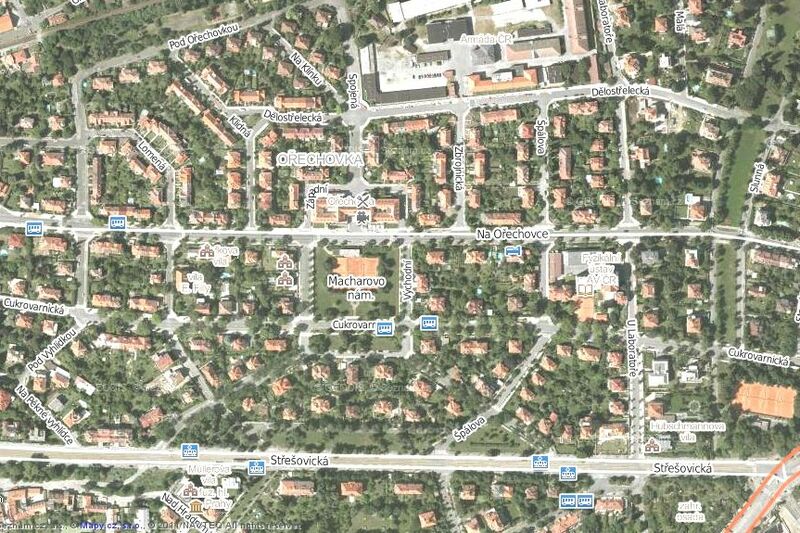 One of the majorstructures of this type is also in Stresovice. Traub´s villa designed for the family tannery businessman of the same name is a major work of the German architect Bruno Paul from 1928 - 1929. Its refined architecture isfrom outside not functionalist or purist (according to architect Loos) , rather it can be considered verysophisticated manifestation of modern classicism. 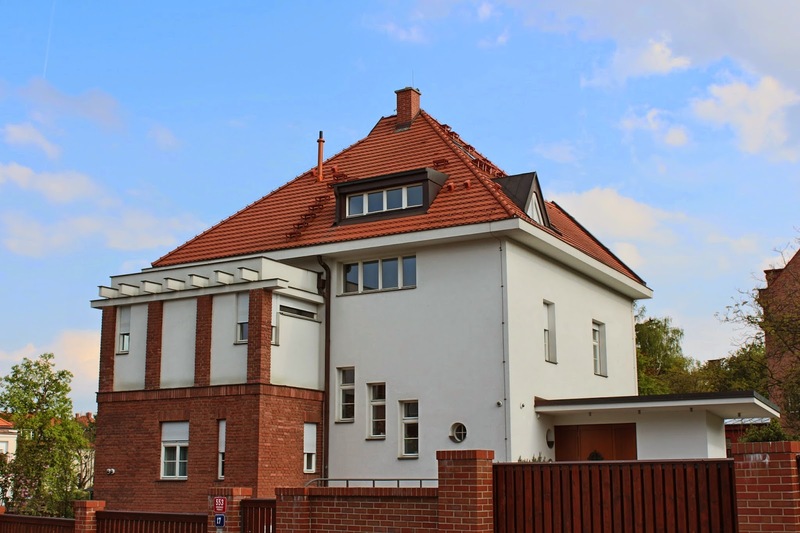 Three-storeyed building has a sandstone paneled front, experts will reveal the relationship between this villa and other work of Bruno Paul - scyscraper KathrainerHochhaus in Berlin in Potsdamerstrasse. In the streetwards direction the villa gives rather cold but dignifiedand representative impression. 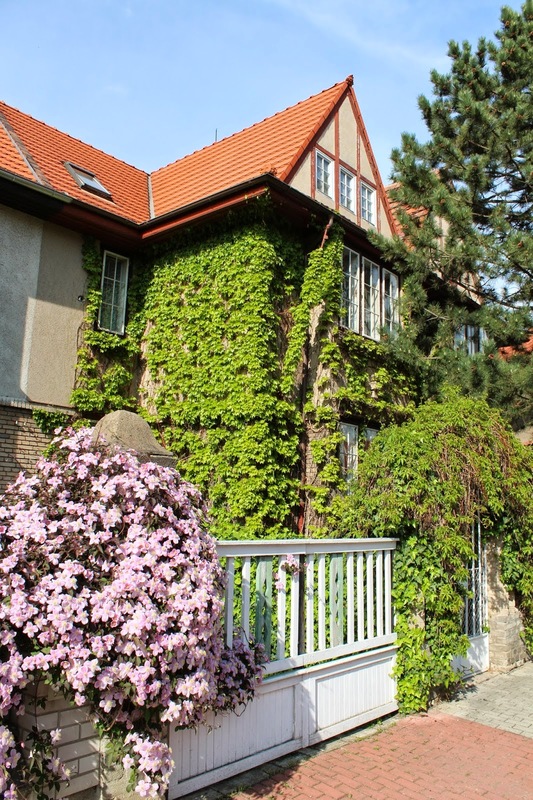 Yet, to the garden you wil find lower, considerably more friendly facade.Traub family did not enjoy the villa much, they had to leave it twice - before the war, and - this time for good - after February 1948 (Communists took power in Czechoslovakia). Vila was then used for variousembassies. During a recent renovation, this villa was sensitively refurbished, including the interiors. 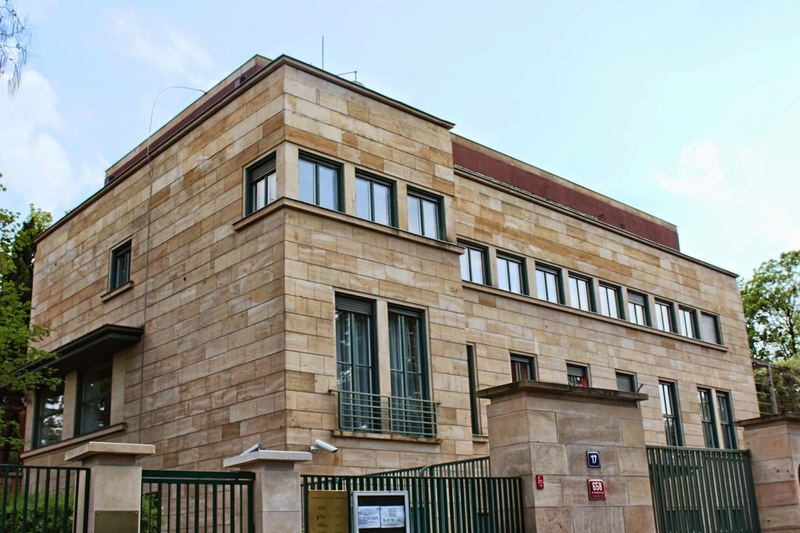 Today the house serves as the Hungarian Embassy. 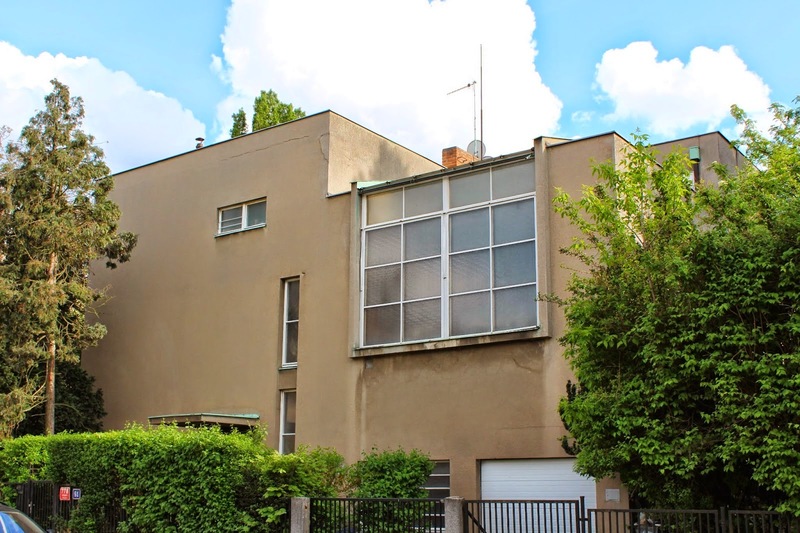 …and further constructivist family house No13/660 from the years 1927-1928, designed by Ladislav Machon. Orechovka as a residential area is emphasized by the villa in Artillery Street No. 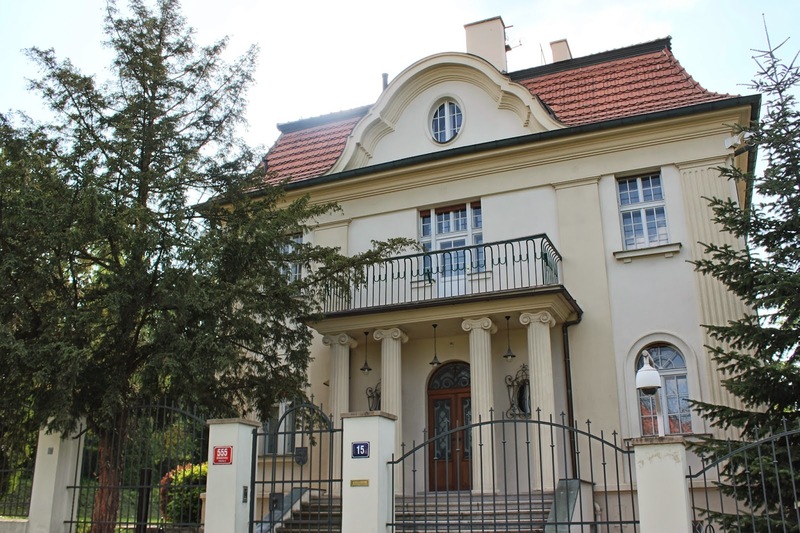 1/654, which is known as theresidence of the former Czechoslovak and Czech president Vaclav Havel and his wife. 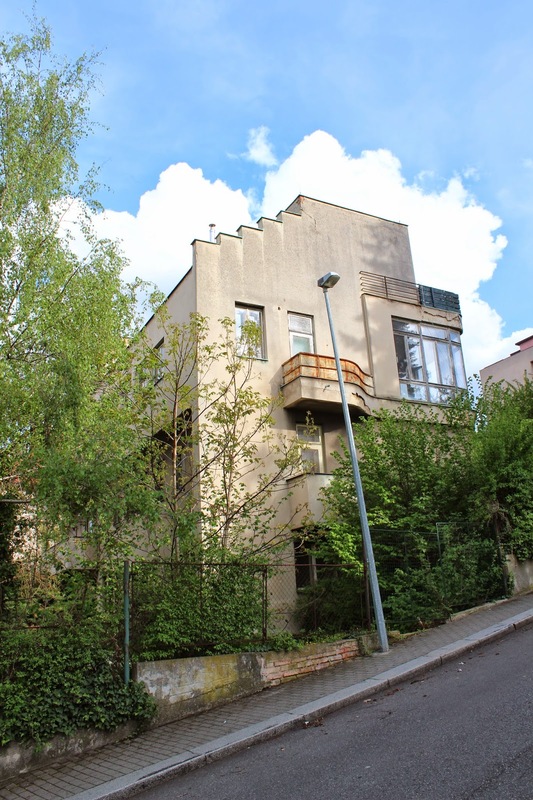 We are walking through the narrow connecting alley to Bustehradska street, where a series of interestinghouses No 17-25/952-956 were built by the purist architects Miroslav Vanecka and Bohumil Svarc in the period 1926 – 1928. The houses have five semi-cylindrical projections with staircase on the north side, therhythmic repetition of which seems very expressive. We turn up Slunna (Sunny) street, which actually forms “circular boulevard” around Orechovka on the east side of Orechovka like similar boulevard V Pruhledu Street on the west side of Orechovka. 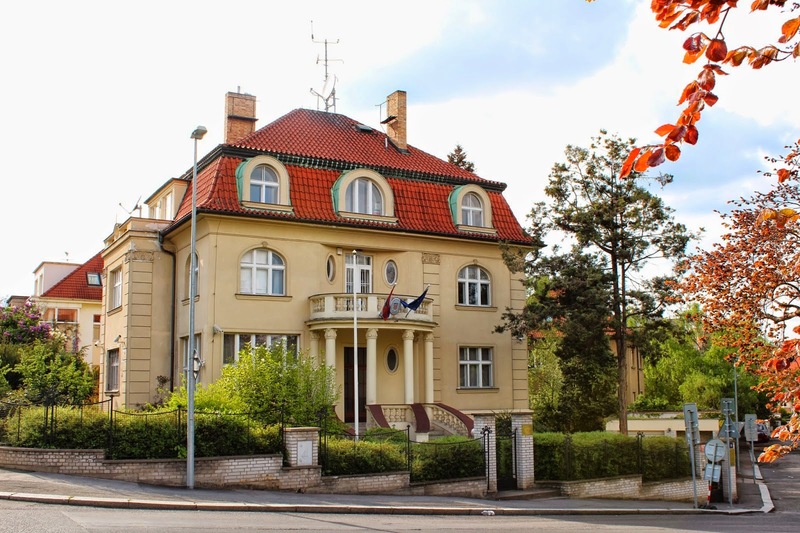 The villa belongs Army of the Czech Republic, and it is used for ceremonial purposes. Shortly after being elected president Vaclav Klaus and his wife moved to the villa . The Ministry of Defence had it reconstructed for the president as commander in chief of the armed forces for the price of 28 million crowns. In January 2004, it became apparent that the Army villa serving as president villa was not the right solution. 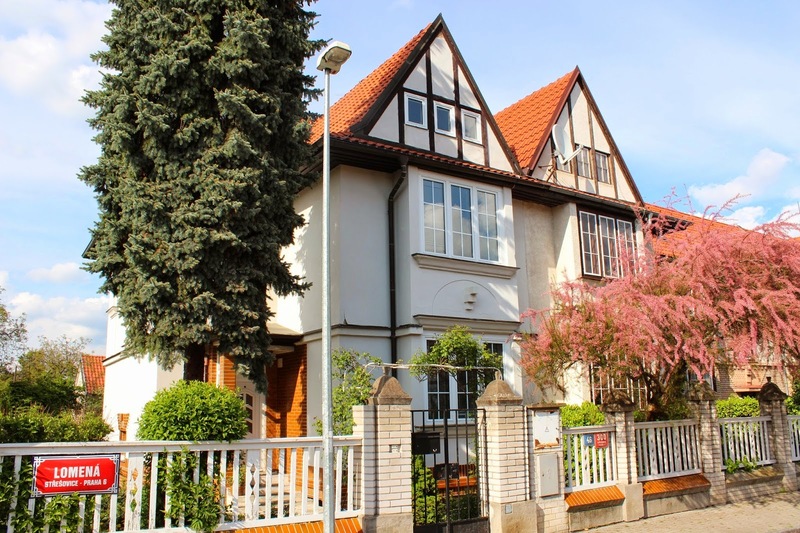 The thing is that it formerly belonged to the family of well-known and wealthy Prague caterers Lippert, who was due to his German nationality deported to Germany on May 16, 1946. 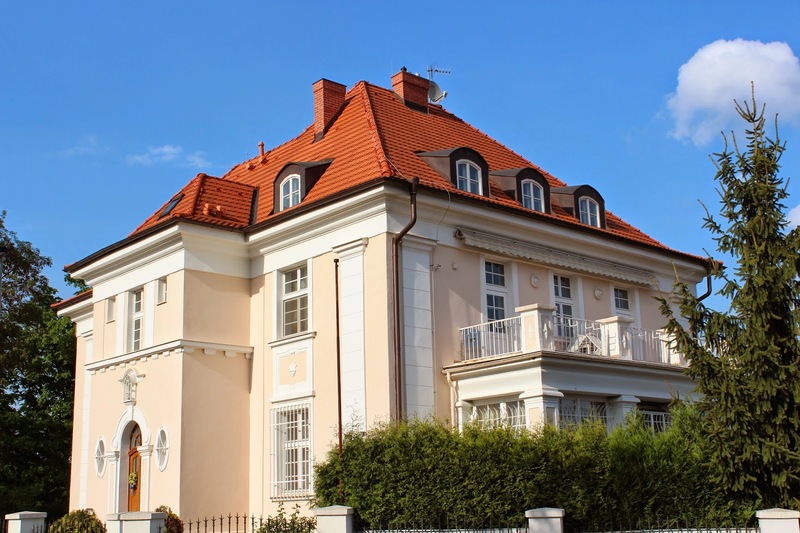 Sudeten Germans immediately declared that “thecase of the presidential villa is just the tip of the iceberg”. President and Army got into an awkward situation. Therefore, the presidential couple was looking for a new residence again. 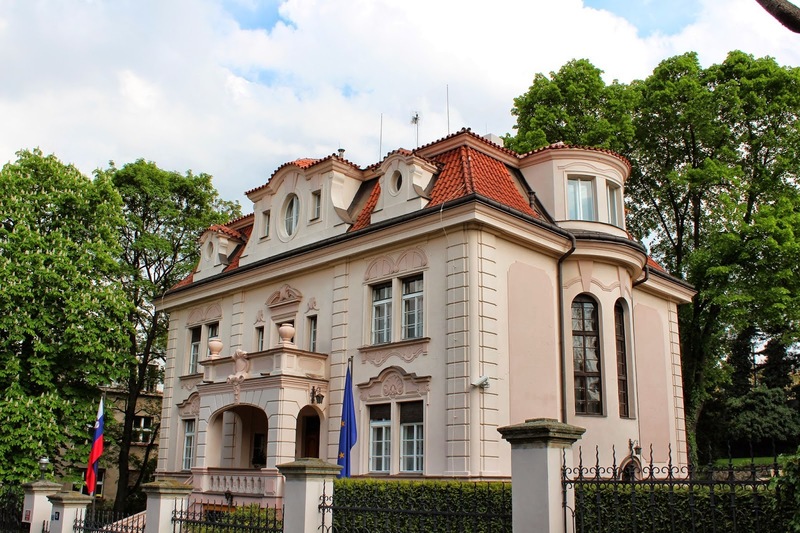 In summer 2005 the couple moved definitively to Empire villa in Lumbe garden on the outskirts of Prague Castle, which now serves also as the residence of the president of Zeman. 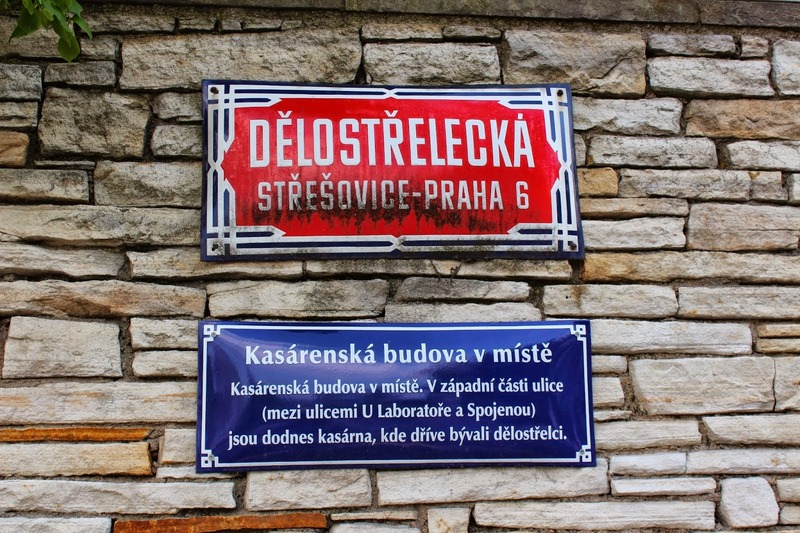 We are walking through Delostrelecka Street, where in 1927 architectJosef Kalous designed the villa No. 17/553 inclining to purism, with fourelevated brick pylons on the terrace. 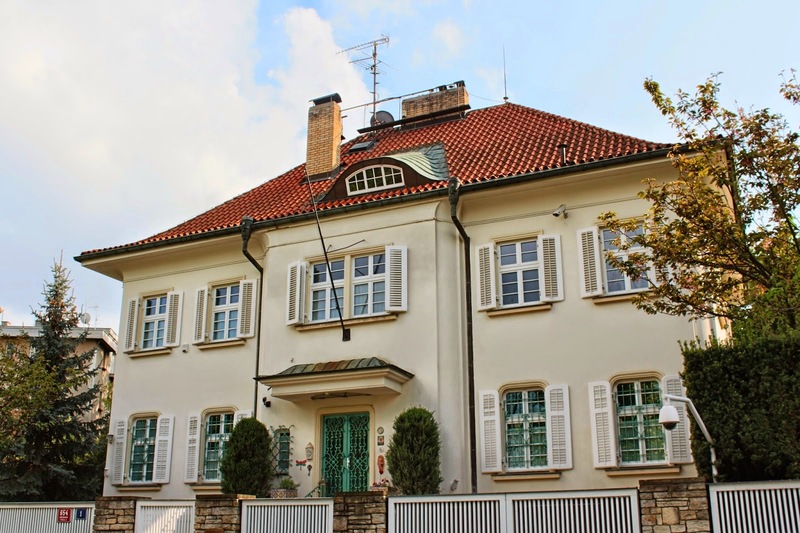 In this house was the last Prague stay of German writing journalist Egon Erwin Kisch (1885-1948). He settled her down after traveling the world, which started in 1925 with staying in the Soviet Union later visited Africa, USA, China, Australia …. , he wrote engaging stories from everywhere. He was known by the nickname “Furious reporter,” because he wanted to see everything, to be at everything , everything to try. He for example, went to Mecca disguised as an Arab. In addition to the reports of roads as “Landing in Australia,” “Tsars, pops and Bolsheviks,” “American Paradise” and “Secret China” he wrote many books inspired by Prague, for example: “From the streets of Prague and nights“, “Prague adventures”, “Prague pitaval“, “Marketplace of sensations”. Although by the inner conviction communist, he always adhere to the principle of reporter objectivity. We turn up the street U Laboratoře. 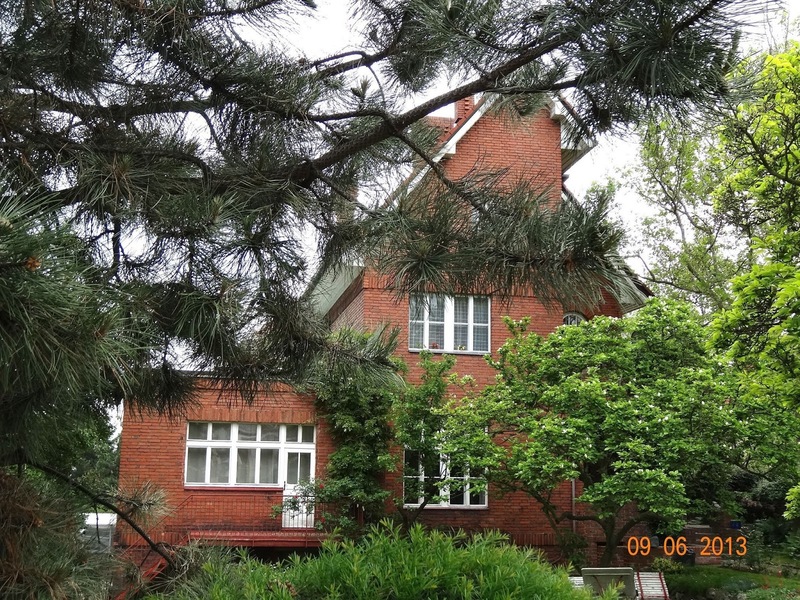 Architect Jaroslav Rössler´s own villa No. 18/552, with rough walling and terracottacolors was built at the same time (i.e. 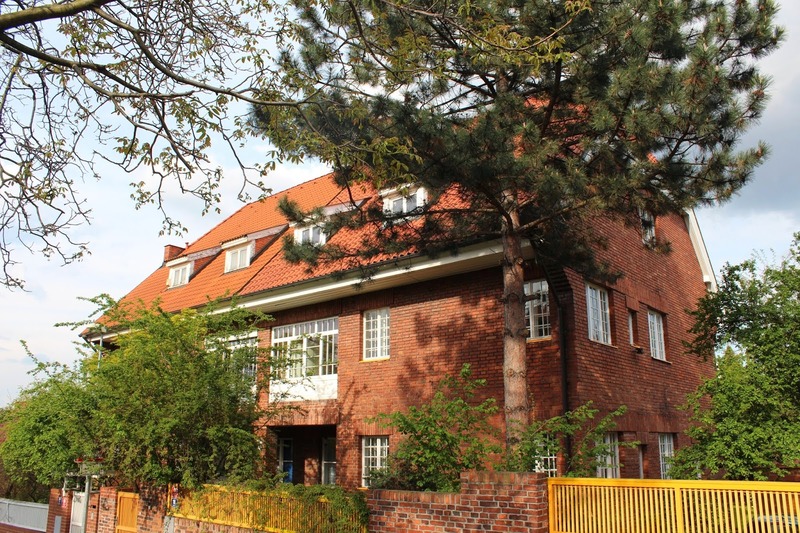 1926 – 1927) as Bohumil Hübschmann´s ownhouse, which we saw at the upper end of the street. From U Laboratore street we are going back through Na Orechovce street to themain square - to the central house where you can stay in one of the restaurants for lunch or dinner, or sit in the garden. 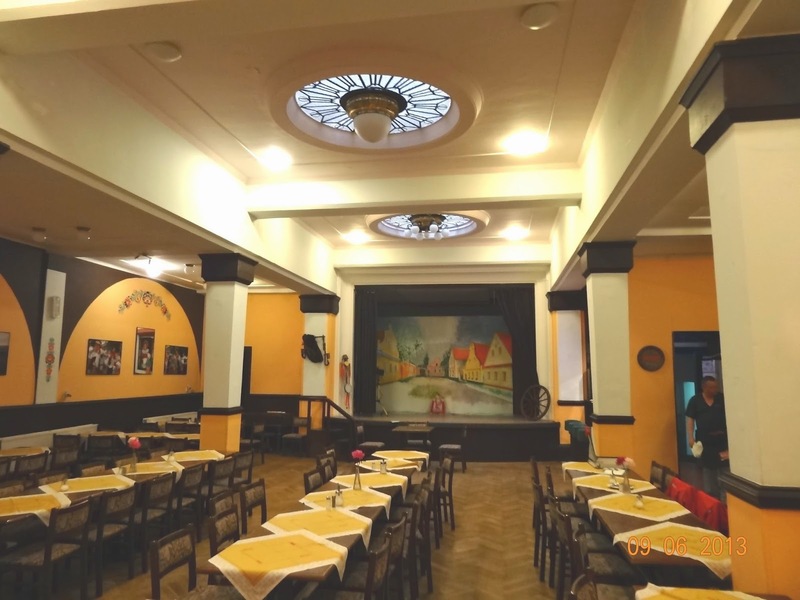 Whether you choose any restaurant, it isdefinitely worth seeing a originally preserved hall of the restaurant, stylishly called “Na Orechovce” – in Orechovka.